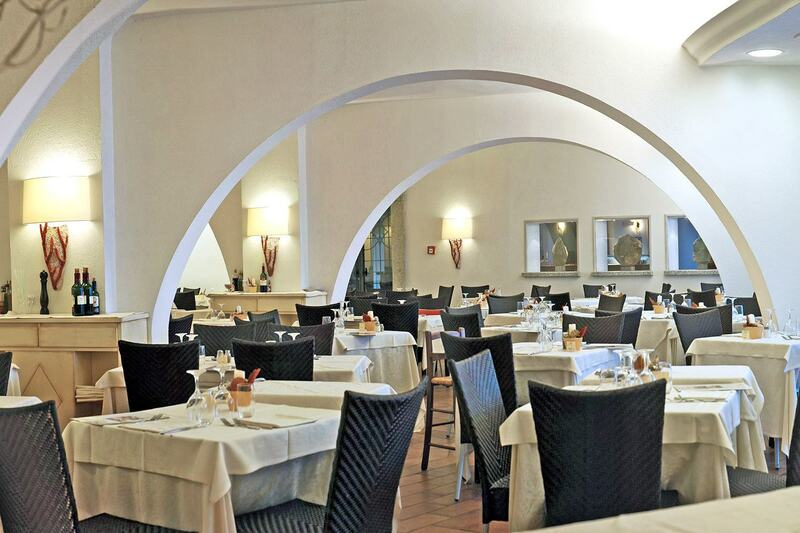 Restaurant I Coralli at Hotel Flamingo Resort di Pula, is the indoor restaurant, located in the central building and specialising in regional, international and national cuisine. During off-season it is the main restaurant at Hotel Flamingo for breakfast and à la carte dinners. I Coralli Restaurant organises typical Sardinian dinners based on Sardinian specialities; these are special evenings dedicated to the culinary traditions of Sardinia. a beautiful restaurant overlooking the Hotel’s swimming pool. International breakfast with sweet and salty options, as well as espresso and cappuccino coffee served at your table. At the buffet there is a choice of sweet and salty dishes, American coffee, juices, water, hot water and teas and other infusions. During off-season, I Coralli hosts lunch for guests staying full board with buffet menu. Those who have opted for half board can have their lunch à la carte served at their table– During high season lunch à la carte will be served at the adjacent outdoor terrace restaurant Le Lanterne. Table dinner offers the possibility of choosing between 4/5 first courses and 4/5 second courses with side dishes from the buffet and dessert. Panoramic, a couple of steps away from the swimming pool, Restaurant Le Lanterne will get you in a good mood first thing in the morning, thanks to the sea view and the delicious buffet served for breakfast. During high season, it is used for à la carte lunch. During high season, this is the restaurant where we serve breakfast for guests staying in Standard, Standard with sea view and Superior. 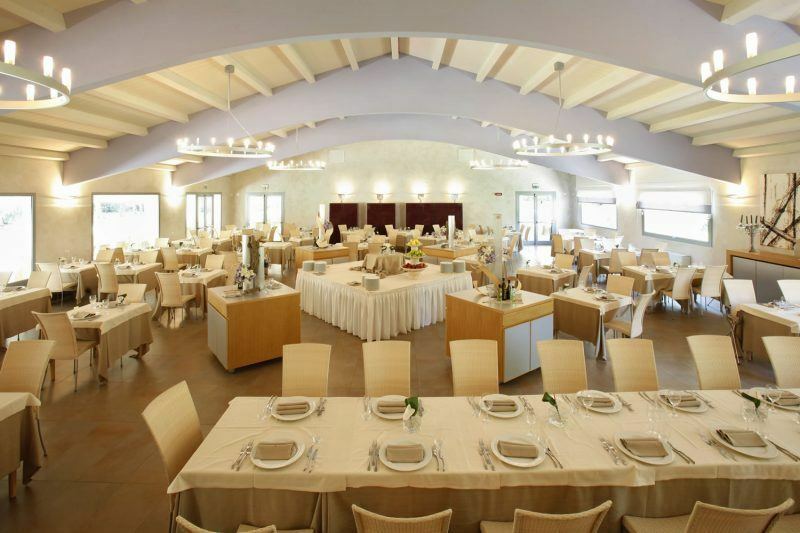 During off-season these services are provided in the adjacent restaurant I Coralli. International sweet and salty with espresso and cappuccino coffee served at your table. Lunch is served at your table à la carte. Payment according to order. The menu offers a choice of dishes of the day between firsts, seconds, side dishes, deserts and fruit. Provided with a spacious outdoor terrace and an indoor area, the Wild Duck serves a exceptionally polished and refined menu. particularly surprising are the combinations achieved by the chef and, especially, the modern and elegant presentation of the dishes. In high season, Wild Duck Restaurant caters for guests who have full board treatment. Full board lunch consists of a buffet with 2 first courses, 2 second courses, 2 side dishes and pudding or fruit. Guests have their dinner served at their table and it consists of appetizers, a choice of 4/5 first courses and 4/5 second courses with side dishes and desert from the buffet. Dinner and Lunch included in the hotel treatment are to be understood excluding drinks. The Bar at Hotel Flamingo Resort is only a few metres from the swimming pool and it offers a menu consisting mainly on fresh salads, ice-creams, fruit, toast and pizza. It is the best choice for those who wish to keep it light. In the evening you can relax by the pool with pre-dinner appetizers or prolong the evening with a long drink in a relaxing atmosphere with our animation team. Upon request, our chef will be delighted to cater for coeliac guests. Our kitchens are prepared for providing gluten-free breakfast, lunch and dinner for guests who have intolerance to gluten. Upon request, we can also provide vegetarian lunch and dinner for our vegetarian guests. On Saturdays, due to the organization of typical Sardinian dinners at the Central Restaurant, dinner for clients of the Wild Duck may be relocated to the terrace of Le Lanterne or to I Coralli, depending on the weather. Guests staying at I Nidi who do not wish to dine at the Wild Duck, can request to dine at I Coralli at no extra cost, and without reimbursement nor compensation.